Economy: President Obama says he wants businesses to “step up” and hire more. If he’s really sincere about wanting more jobs, he should stop demonizing and punishing American corporations for their success. But the fact they’re not “betting” more isn’t their fault. It’s Obama’s — and his Democrat allies in Congress. Their tax-and-spend policies have pushed our nation to the brink of financial ruin, creating uncertainty and an unstable investment environment for companies. The president let his true feelings slip later Thursday, telling a laid-off government worker there’s “nothing more important” than working for the government. He then blamed “huge layoffs” in government for our current job ills. So why do businesses have to “step up”? There are, as a matter of record, 418,000 more government jobs today than when the recession began, as noted by the National Review’s Jim Geraghty. And face it, government “jobs” are mostly a waste, far below the private sector in productivity. Even so, Democrats have in recent weeks implied repeatedly that companies are somehow unpatriotic for refusing to invest the $2 trillion in cash on their books. But what sane company would invest at a time when it’s in the government’s greedy cross hairs? Or when both the White House and Congress repeatedly criticize “millionaires and billionaires,” and threaten to crush small businesses — the engines of job growth — with higher taxes and new regulations? As Obama spoke about jobs Thursday, oil CEOs were being grilled by Senate Democrats at a hostile hearing. Their crime? They’re making fat profits. Time was, profits were a sign of success. Today, far-left Democrats think “profit” is a dirty word. For the record, oil companies’ profits are up because oil prices have soared. This isn’t due to “speculators,” but to the White House’s foolish policy of keeping hundreds of millions of barrels of offshore oil off-limits — driving up prices and boosting foreign dependence. Instead, the White House subsidizes money-losing alternative energy sources, none of which is ready to replace our current energy supply. Prices can only go up. Then there’s Boeing, one of America’s great companies. It wants to open a $2 billion factory in South Carolina, creating thousands of new jobs. A cause for celebration by the White House? Hardly. The National Labor Relations Board has charged Boeing with a labor-law violation because South Carolina is one of 22 right-to-work states. If you look at which party gets union donations, you’ll understand why. Fact is, we’re 7 million jobs short of where we were when the recession began, there are eight unemployed people for every job opening and, despite April’s gain of 244,000, we still aren’t creating new jobs fast enough. Yet Obama & Co. continue to play games, destroying jobs and blaming others for the economic carnage. I learned today that the oil companies receive 13% of the tax subsidies for the energy industry. And produce 67% of all the energy America uses. All the other energy sources combined – including all the “green” energy sources the left loves so much – receive 87% of the tax subsidies. Even though they produce only 33% of all the energy America uses. So Democrats want to drive the producers of two-thirds of our energy out of business and reward the remaining third of our energy with massive tax subsidy boondoggles. The Hindenburg Omen: How Long Before Americans Cry, ‘Oh, The Humanity!’ As Obama Policies Fail? But now there is another, far more frightening connection between Barack Obama and the infamous Hindenburg explosion. After tumbling below 10,000 yet again Wednesday morning, the Dow rebounded to close above that psychologically important level and was slightly higher early Thursday. Still, fear in the market is being expressed by the continued rally in Treasuries and widespread chatter about an ominous sounding technical indicator: The Hindenburg Omen. The Hindenburg Omen has a roughly 25% accuracy rate in predicting big market upheaval since 1987, meaning it’s far from infallible but isn’t inconsequential either. The indicator’s creator, mathematician Jim Miekka, compares the Hindenburg Omen to a funnel cloud that precedes a tornado in a recent interview with The WSJ. “It doesn’t mean [the market’s] going to crash, but it’s a high probability,” he said. — The daily number of NYSE new 52-week highs and the daily number of new 52-week lows must both be greater than 2.2% of total NYSE issues traded that day. — The NYSE’s 10-week moving average is rising. — The McClellan Oscillator (a technical measure of “overbought” vs. “oversold” conditions) is negative on that same day. — New 52-week highs cannot be more than twice the new 52-week lows. This condition is absolutely mandatory. These criteria have been hit twice since Aug. 12, prompting Miekka to get out of the market entirely, The WSJ reports. Judging by the recent market action, many others are following suit — or at least moving in the same direction. As Henry and I discuss in the accompanying clip, there are a lot of reasons to be worried right now that having nothing to with The Hindenburg Omen, the “Death Cross”, Mercury being in retrograde or myriad other indicators cited by market pundits of various stripes. It’s the Economy, Stupid: This week’s weak durable goods and home sales reports are just the latest in a string of desultory data. In sum, the macroeconomic data strongly suggest the job market isn’t going to improve anytime soon. And if the job market doesn’t improve, there’s really not much hope for a turnaround in housing, consumer sales or anything else really. Oh, and the stock market is still expensive on a cyclically adjusted P/E basis, making it more vulnerable to an economic slowdown. Unusual Uncertainty: On July 21, Fed chairman Ben Bernanke testified on Capitol Hill that the Fed’s forecast called for real GDP growth of 3%-3.5% for 2010 and 3.5%-4.5% in 2011 and 2012. Less than a month later, the Fed announced plans to buy Treasuries again (a.k.a. “QE2”) and, as The WSJ reported this week, there’s a tremendous amount of dissention within the Fed about the ‘right’ policy prescription. Financial Follies: Whether it’s renewed concerns about Europe’s sovereign debt crisis, more U.S. bank closures or reports of commercial developers walking away from properties, it’s clear the problems in the financial system were not resolved by various and sundry bailouts and government stimulus … not by a long shot. Good Politics vs. Good Economics: S&P’s downgrade of Ireland’s debt and Greece’s revenue shortfall show the short-term perils of the austerity measures that have swept Europe. But promising to cut government spending and slash deficits appears to be a winning political strategy in America right now. Certainly, it’s a key message of Republican and Tea Party candidates, who appear to have the momentum heading into the November mid-term elections. But if Europe’s ‘PIIGS’ are any example, gridlock might not be so “good” for the economy this time around, much less the financial markets. Of course, the “good” news here is that there’s so much to worry about and the markets typically are darkest just before dawn. This week, Intel CEO Paul Otellini and Jim Tisch, CEO of Loews Corp. both blamed the President’s policies for creating an environment of “uncertainty” that is crippling America’s economy. The Obama administration is “flummoxed by their experiment in Keynesian economics not working,” Otellini said Monday in a speech in Aspen. Higher taxes and more regulation add an additional $1 billion to building a semiconductor manufacturing plant in the U.S. vs. overseas, the CEO said. Loews’ Tisch made similarly themed comments in a Bloomberg interview on Wednesday. “Part of the problem is that business has very little confidence in what’s been going on and very little visibility,” he said. But is it just CEOs? Is it just big business? Surely Obama’s anti-business policies are making things easier for the little guy, right? Perhaps the biggest reason of all hasn’t gotten enough attention: Americans are making due with less and don’t have the money to put into stock funds, and many are taking money out of their investments to pay for basic necessities like food, clothing and shelter. Obama’s anti-business and profoundly socialist policies seek to punish business in every way he can. A lot of Americans were probably happy with that in November of ’08. But that was before they began to realize the truth that either all boats rise, or all boats sink. Nancy Pelosi never drained the political swamp, as she falsely promised, but Barack Obama has certainly drained the ocean of economic opportunity (and very likely poisoned the bluebird of happiness, but that’s a crime for another day). We need the rich, and the big businesses, in order to have jobs. When they profit, the rest of us do. And when they are demonized and attacked and regulated to death, the rest of us suffer, too. It’s not really accurate to say that Obama is “anti-business”; he’s the MOST anti-business president ever. 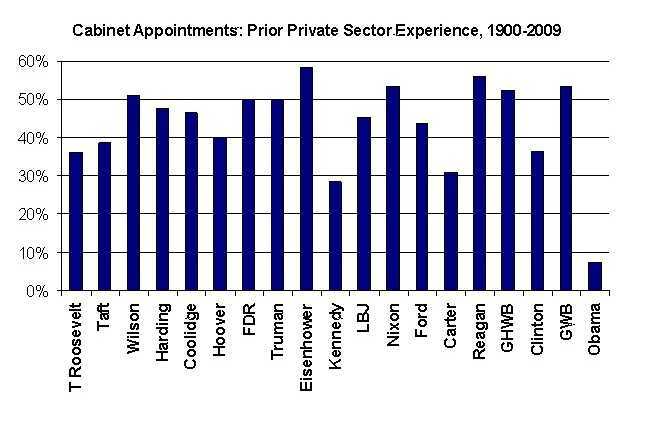 A glance at Obama’s appointments and their actual world business experience should suffice to reveal how important business was to Obama. Obama filled his administration with radicals out to “fundamentally transform America.” And being the kind of man or woman who was oriented toward meeting payrolls and expanding businesses really didn’t need to apply. And these eggheaded Marxists are seizing money from the private sector – and even from the future – and making terrible decisions about how to invest it. We get turtle tunnels and monkey cocaine studies rather than infrastructure investment. Had it been up to businesses as to how to invest the trillions of dollars that Obama pissed away, things would have been a lot better now. I love the title from a US News & World Report article: “Obama’s Anti-Business Policies Are Our Economic Katrina.” It’s written by Mortimer Zuckerman, who used to be a huge supporter of Barry Hussein, until he finally realized that “the One” was nothing more than a great big fart in the wind. And even Obama’s own Democrat Party is now finally beginning to realize what a great big fart in the wind Obama truly is. They hitched themselves to the Obama bandwagon; and now the wagon is burnt to ashes. On November 4, 2008, the voters of the United States of America voted for national extinction. And yet many are surprised that we’re now following in the footsteps of the Dodo bird. Do yourself a favor and get a copy of Amity Shlaes’ The Forgotten Man, A New History of the Great Depression. Barack Obama’s presidency and his economic policies are placed in context once you read Shlaes’ account of FDR and his policies. Written in 2007, there is no way Shlaes could have manipulated the similarities. A member of the audience laughed out loud in shock. The remark seemed so much at odds with the painful reality of that November. Sure sounds familiar to me. The basic premise of Amity Schlaes’ The Forgotten Man is one shared by economist Robert Higgs, namely, that the paralyzing uncertainty over the FDR administration’s strategy actively discouraged business from investing or hiring as they struggled to respond to the government’s numerous and simultaneous counterproductive policies. This is something that has been going on since Obama took office. If Obamacare makes it through the Senate, American small businesses will continue to shrink their payrolls to avoid the awful choice of paying higher health care insurance premiums or the 8% added payroll tax. Unemployment is sure to rise. The Dems will face the November 2010 elections with 12% unemployment … closer to Depression levels of 20% by the so-called broader measures. If Obamacare fails to pass, the left-wing base will be so demoralized as to not show up at the polls in 2010. Or they will be so angry that they might start a 1968-like interparty war. My Checkmate Theory is based on small-business fear of Obama’s signature issues–health care, cap-and-trade and union card check. Health care is at the plate now. The fate of health care in the U.S. Senate will set the passage odds for cap-and-trade and union card check next year. 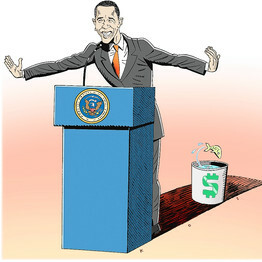 All three of Obama’s signature issues are opposed by most small businesses, including the American Chamber of Commerce. Small businesses often lead the nation out of recession. Not this time. The unemployment rate jumped to 10.2% in October from 9.8% in September, and economists say a big reason is small businesses. With sales weak, they’re still slashing jobs and faring worse than their larger rivals. “Small business tends to lead the way out, and that’s just not happening here,” says Mark Zandi of Moody’s Economy.com. W. Michael Brown has scaled back hiring plans in his Virginia auto-parts stores. Carl Redman halted an expansion project at his Oregon contracting business. Bill Hammack is preparing layoffs at his road-construction company in Georgia. The economy remains unsteady 22 months after the recession began, with banks restricting credit and consumers hunkering down. For these small businesses, and many others across the country, there’s an additional dark cloud: uncertainty created by Washington’s bid to reorganize a wide swath of the U.S. economy. If American small businesses stay hunkered down, unemployment will stay up. That’s because small businesses historically have created the majority of net jobs in any economy. They’ve created almost all net jobs in the first two years of a recovery. But not this time. Not yet. The solution may be corporatism or corporate paternalism–by which I mean the mandatory universalization of private employer benefits. If the politics of ethnic diversity makes movement in a universalist, social democratic direction impossible in the U.S., then the alternative might be to mandate that all employers provide certain benefits to all employees, with no exceptions. The costs of such unfunded mandates might drive some small businesses out of existence. But small-business owners are the most vocal opponents of wage and benefit reform in the U.S. The replacement of Scrooge & Marley by a smaller number of bigger private and public employers who treat Bob Cratchit and Tiny Tim better would not necessarily be a tragedy. Not a tragedy? Don’t be so quick, Democrats. You can’t have it both ways. Stick it to small businesses (through higher payroll taxes, cap-and-trade and union card check) and the assaulted will trim their payrolls until conditions clear, if ever. But if you don’t stick it to small businesses, your party’s activist base will go nuts. You have checkmated yourselves, Democrats. I know Democrats thought that pure arrogance and power hunger would be attractive ingredients, but it doesn’t seem to be working out for them. If ObamaCare passes, small businesses know that they will be forced to pay high costs for every employee on their payroll. Ergo sum, they aren’t too eager to hire new workers until the coast is clear and Obamacare has finally gone away. If it doesn’t pass, the Kool-aid liberal base will go even more nuts than they already are and start a war within the Democrat Party. The horns of a giant dilemma begin to take shape.